Do you love hydrangeas but don’t have the space? Silver Dollar Hydrangea (Hydrangea paniculata ‘Silver Dollar) is just what you’re looking for. This small but mighty beauty blooms with full-sized flowers in a more compact form than you’d expect from a hydrangea. The big green leaves fill out in the spring and early summer. Then in mid-summer through fall Silver Dollar covers itself in dense trusses of lacy, creamy-white blooms held upright on strong stems. The whole effect is romantic and nostalgic. Silver Dollar only grows 4’ – 5’ tall and wide making it great for smaller gardens and side yards. It handles light shade as well as sun and fills in quickly each spring. 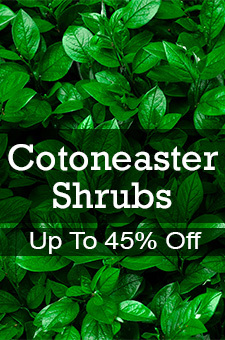 Plant it with azaleas and rhododendrons for flower power all season in dappled shade. It makes a pretty accent plant but really shines in groups of three or more. Silver Dollar makes a great cut flower and dries easily, giving you gorgeous fresh cuts in summer and rich floral displays in fall and winter. Don’t wait to order and definitely order more than one. You will love Silver Dollar in your garden so much you’ll be disappointed if you don’t.